Contains Milk, Soy, Wheat. May also contain Gluten. When’s the last time you went bananas over your breakfast? 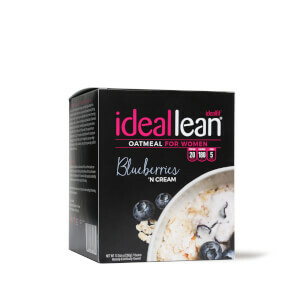 With high-protein IdealLean Banana Oatmeal, you can look forward to a healthy breakfast every day. While oatmeal us good for you, I didn't like the taste. I use it as part of an ingredient in my smoothie. Love the nutritional content but the oatmeal itself is super sweet. So I bought two boxes of this "oatmeal" because I normally have it for breakfast while I am at work. I don't think you can technically cause this oatmeal. There are specs of oatmeal throughout but like most reviewers have stated it's mostly protein powder. Now the taste in bearable to me. I love banana but the consistency of this oatmeal is not what I was expecting. I have to say it does taste better when you add the hot water to the oatmeal and skip the microwave. With that being said I will pass on ordering oatmeal in the future. Tried some of my friends and had to get it for myself. Love the idea of protein and oats WITHOUT HAVING TO WASTE YOUR PROTEIN POWDER lol. 20g of pro already build in. 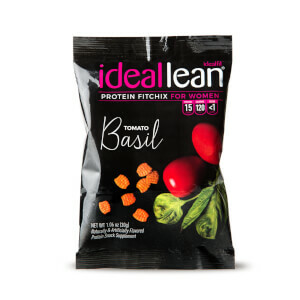 Working a desk job and always being on the go with school, this makes it so easy to just grab and go, keeping my nutrition on point. Taste is bomb and texture is creamy. Love it with almond milk too. This product is so worth it, will be trying blueberry next.